The first time, the red splatter painted the walls, floor, and everything like Dexter had been for a visit. That’s a bit violent. Maybe the place looked more like a Jackson Pollock. The red splatter also stained my fingers and my clothes. 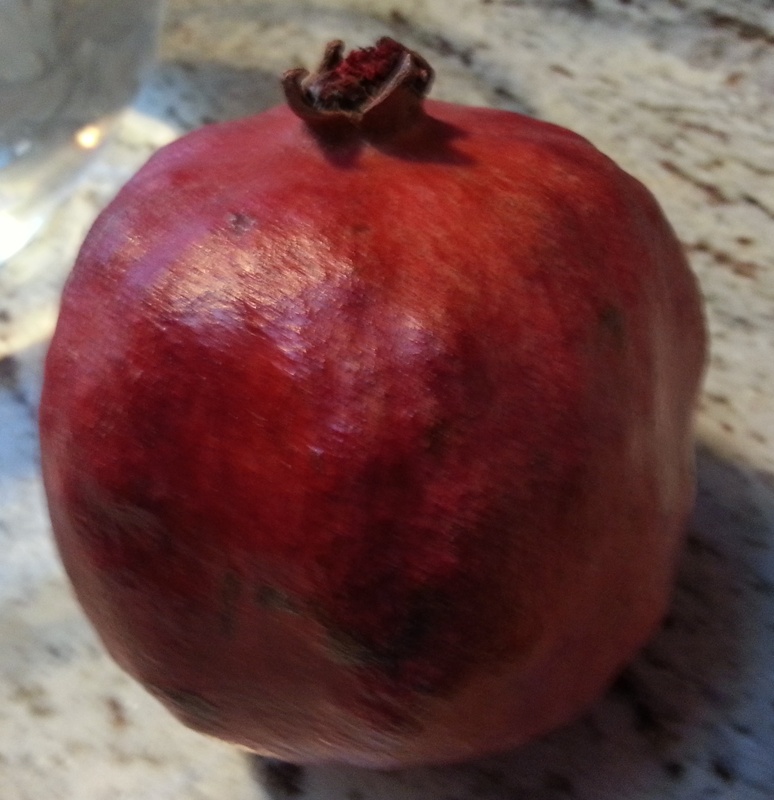 I’m talking pomegranate juice, people. Then the Pom people left a handy little brochure in the produce section. 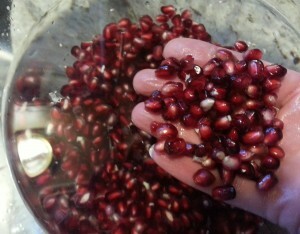 It was all about harvesting the seeds from the red fruit without turning the kitchen into a gory scene from a slasher movie. I found this website that has a video about the right way to cut one. I think it’s even better than the tips in the brochure. Of course, I found this method after the fact. So, I didn’t cut it nearly as neatly as the woman in the video did. Next time, baby! After you cut the fruit open (hopefully without cutting any seeds) and break apart the sections, put them in a large bowl of warm water. 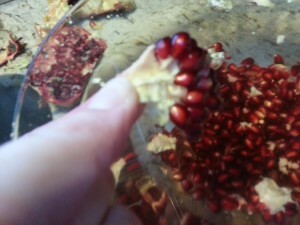 Then you can gently pull the seeds out of the pith. The pith will float to the top for easy clean up. I’m not saying I didn’t splatter any of the juice on myself or my counter, but I didn’t look like a victim in a slasher movie either. I’m still super, crazy busy. I have to admit that not posting here for several days in a row is getting to me. I’ve been at this for about a year and a half now, and I’m loving it here and y’all are great!